We are a highly professional transportation organization dedicated to providing the best combination of service and price in the industry. We want to be your one stop for all of your company’s shipping needs, North America wide. We build relationships by taking the time to understand our customers’ shipping needs. When you call us, you will always be able to reach someone during business hours. We strive to instill confidence every time we deliver your freight. We are dedicated to being highly professional and ethical in our interactions with customers and associates. We set the standard for excellence as a transportation partner. Our staff will go the extra mile to make sure your goods arrive on time, reliably. Our highly trained staff, temperature controlled trucks, trailers and terminals ensure that the products we deliver are top quality and on time. 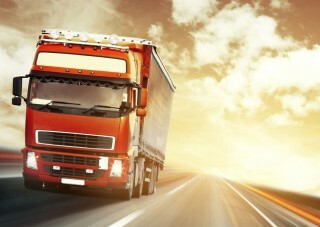 We have trucks on the road 24/7 hauling freight to major destinations for overnight delivery and distribution.